So, What’s Cooking on Wednesday Nights? We hope that wherever you are, you can see the season beginning to shift from a long winter to more temperate weather with trees, plants, and flowers blooming. It’s probably a little bit of a projection on our part, after an epic March with more snow than we can remember in many years. 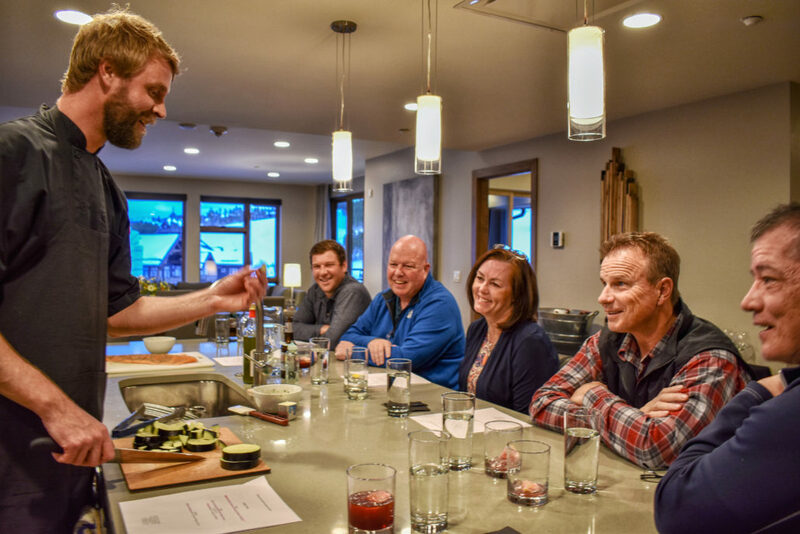 Needless to say, here in Breckenridge, spring is defined a little differently—warmer, yes, but still with plenty of snow likely to fall for weeks to come, keeping big smiles on the faces of our owners who enjoy spending time on the mountain. Speaking of smiles, several months ago, our creative Activity Department developed a plan for a new and fun evening event for you: the Grand Culinary Experience. Owners from all our properties are welcome to sign up for this delectable cooking demonstration and dinner, presented by local chef Christian Anderson, that takes place at GC8 each Wednesday night. You’ll not only learn a lot, but you’ll enjoy a fabulous meal and get to know some of your fellow owners. Here how it works: Chef Christian preps all ingredients prior to your arrival, and then provides an instructional demonstration of what he’s doing and why in each step of the three course meal. You’re free to ask as many questions as you want, so it’s a very interactive demo—and then, of course you get to enjoy the fruits of his labor while he prepares the next course. One reason owners are really enjoying this is that Chef shows you how to make the most of the kitchen in your unit, and that you don’t have to limit your love of cooking just because you’re on vacation. In March, we enjoyed a wonderful meal at the Grand Culinary Experience that included an arugula caprese salad to start; seared salmon, creamy polenta with Reggiano Parmesan, and ratatouille for the main course; followed by a lip-smacking strawberry shortcake. It was truly divine! It was a really fun time, plus we learned some cool new techniques to take home to our own kitchens. We hope you’ll consider signing up for this when you’re here during your week. As mentioned above, it’s open to all our owners. 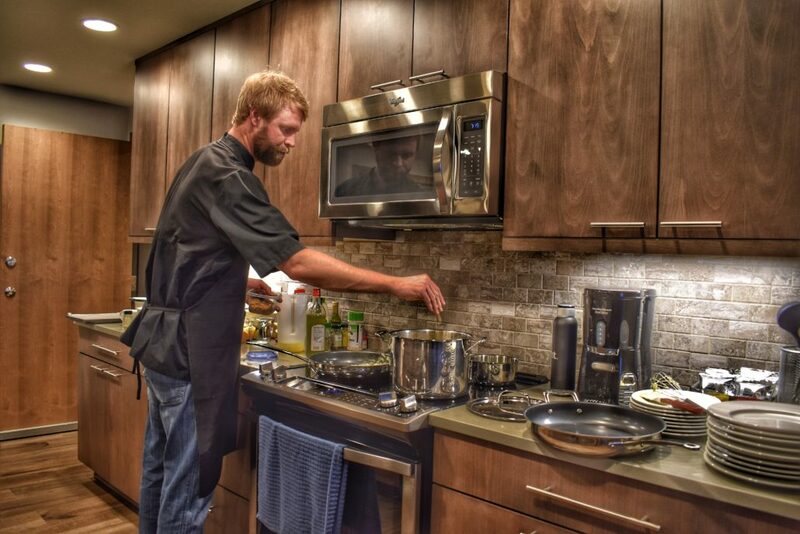 The Grand Culinary Experience takes place each Wednesday from 6:00–9:00 pm and is held in a model unit at GC8. 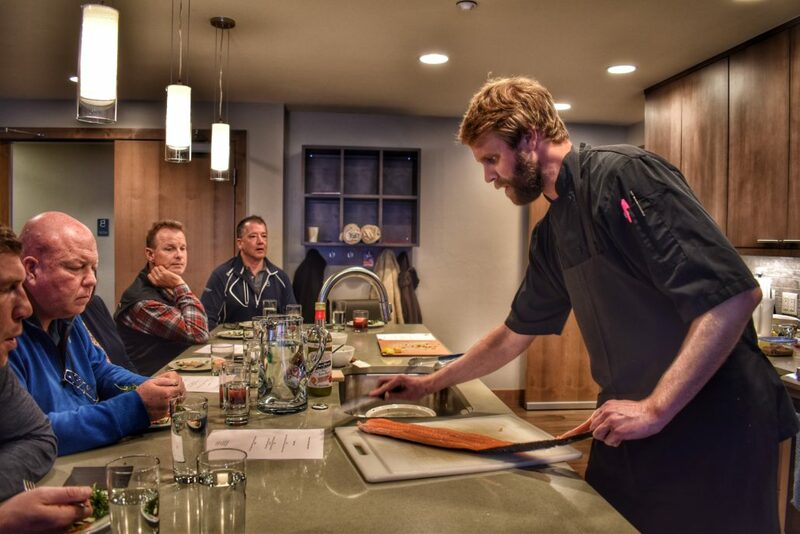 The cost is $90 per person, and Chef can accommodate up to 10 people for each meal. We know you’ll really enjoy it! With smiles on our faces, we send our best to you and your families, and look forward to seeing you soon again in your vacation hometown of Breckenridge.